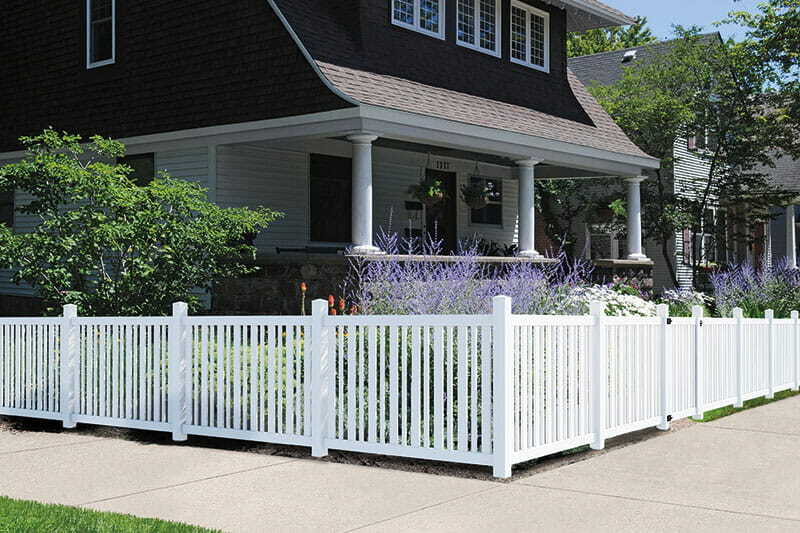 Want that white picket fence, but don’t want the maintenance? 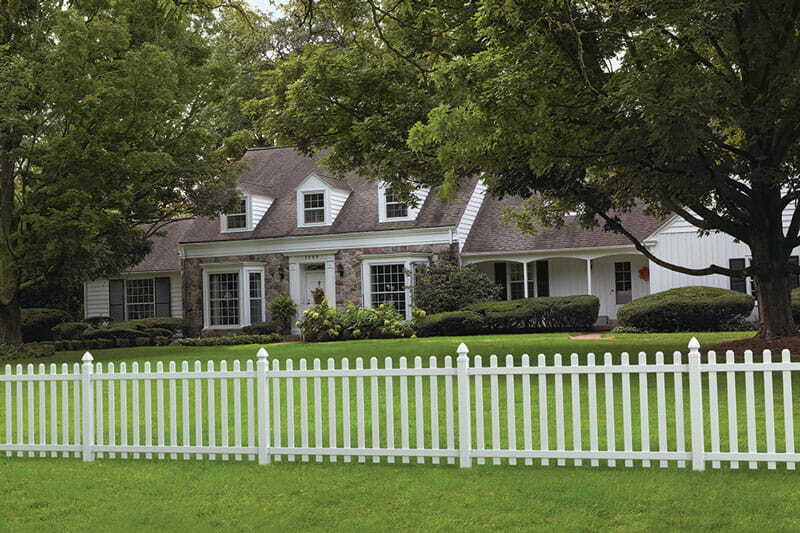 Check out our Yorktown Spaced Picket Vinyl Fence. It features robust 3 in. pickets with either Spade or Dog Ear picket tops. Yorktown fence products come in ready-to-assemble boxed kits. Posts and brackets sold separately. 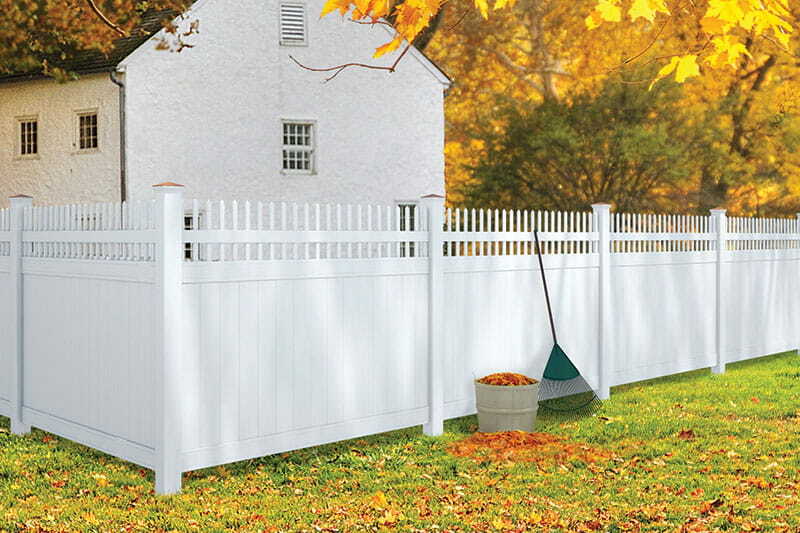 We offer three Yorktown fence panel sizes with either Spade or Dog Ear picket tops, along with coordinating gates. Picket size – 7/8 in. x 3 in.